French/Corsican Abuse or Just Political Wars? THIS morning we wrote about political aspects of the Battistelli regime inside the EPO (broader than just Battistelli himself) and earlier today somebody posted — in an anonymous comment — Friday’s message from Raimund Lutz, part of Team Battistelli (big internal news items tend to come out late on Friday when the European media goes to sleep). I’m pessimistic about the EPO, the member states, and “Europe”. A delegation of France’s Parliamentary Office for Scientific and Technological Assessment (OPECST), which is composed of members of both the French Senate and National Assembly, visited the EPO yesterday [7 July] for an exchange of views on the latest developments in the field of biotechnology inventions. The French delegation was headed by OPECST President, Jean-Yves Le Déaut, member of the French National Assembly, and also included representatives of the French Embassy. The task of the OPECST is to support the French parliament in gaining greater insight into technological and scientific matters on which it decides. The meeting was held in a cordial and constructive atmosphere, and focused on various points of common interest, including recent developments in the European patent system. It also offered the opportunity for an exchange between the OPECST delegation and a team of EPO patent practitioners and legal and economic experts. With biotechnology specialists from DG 1 and DG 5 and the EPO’s Chief Economist present, the EPO gave a number of presentations on biotechnology patents, including on the economic aspects, and the legal framework governing the patentability of biotechnology inventions, with a special focus on the law and practice concerning inventions related to plants and human gene sequences. On the occasion of the visit, the EPO President was given a “Médaille de l’Assemblée Nationale” by Jean-Yves Le Déaut in his capacity as member of the National Assembly. It’s something that also Le Pen father would have received every year. The other Corsican famously declared: « C’est avec des hochets que l’on mène les hommes. » But who is led by whom here? Benoît B. doesn’t seem to have the decoration Bonap was referring to, however a Charles-Robert Battistelli was awarded one in 1930. 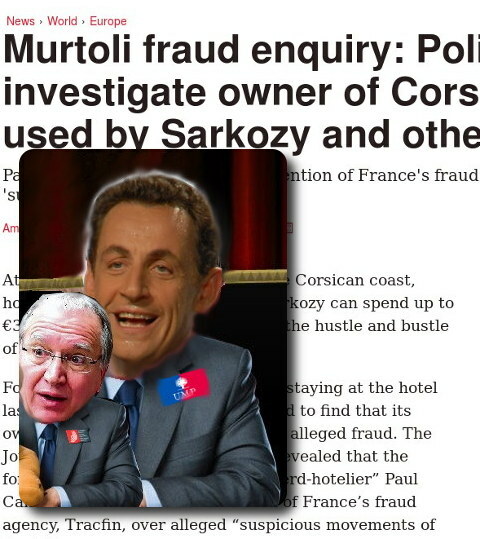 The article cited in this case, regarding the Corsican connection, was translated for us some months ago and maybe now is a good time to post what we have of it (this is not complete). What does the social conflict at the European Patent Office stand for? The social conflict at the European Patent Office (EPO) which has been ongoing for more than two years is now taking extreme proportions. The following address written by an acquaintance who is well in the know aims to present the reasons of the “forceps delivery” of a new “unitedstateseuropeanised” institution in charge of intellectual property, within the framework of the transatlantic partnership (TTIP/TAFTA). The author claims and shows that one should see in the brutal abolition of the rights of the staff, which is very autocratically conducted by its president (Mr. B. Battistelli), a preview of what awaits us all with the transatlantic partnership. The crisis of the European Patent Office is thus neither a categorical or corporatist conflict: it is in fact a laboratory of the subordination to US social standards — this is the tragic reality hidden by the sacharine expression “social standards harmonisation” — of the peoples of Europe who are destined to be dissolved into the United States. There are no monetary claims at stake in this conflict, but an opposition to the perpetually increasing targets given to each EPO staff member, ad absurdo. This situation is well known in various business (France-Telecom, etc. ), but with respect to the EPO, through its extra-territorial status, there are no rights: no right to work, no criminal law, no civil law, just the extremist will of its president and his confederates, who created their own police forces operating in “special sections” and hired a anglo-US security company for its less palatable tasks. Decisions — whether individual or collective in scope — can only be contested before management, which is de facto both judge and party. Appeals are filed at the International Labour Organisation, which hasn’t been conceived for that and is overwhelmed: no case is anymore likely to be completed in reasonable time. It is thus a lawless structure, a “no-law-land”. The founding fathers evidently did not foresee the case where a president together with a few confederates would overtake it… without oversight. We will note that it went without saying that the attack began with the suppression of the right to strike. Just one more word of presentation on the European Patent Office (EPO): founded in 1979, this executive organ of the European Patent Organisation is in fact an organ of European cooperation implementing the European Patent Convention (EPO). It is independent of the European Union (EU) and essentially granted up to now national patents in place of national authorities in charge of intellectual property in the 38 member states (e.g. the French INPI) –- to which must be added two states for which an extension is possible -– and not of an “European” patent, which should shortly be implemented. An invention patent is an intellectual property title which confers its holder (usually a corporation) the right to prohibit others to use the invention for a limited time (up to 20 years) and on a given territory (e.g. a country) in exchange of the divulgation to the public of the said invention. Here is now the address. Dear EPO colleagues: I am only now able to address you, as I have only gathered in the last few days the strength to write and describe the situation of the Office. Let it be clear that even though I write here as a Frenchman, I am addressing all of you. Mr. Battistelli is French, of course, but… well, no: he is Corsican. This magnificent little island with a volcanic temperament, where the red cliffs plunge from their tree garnished crests into the deep blue of the Mediterranean, gave to France a man who was in his day execrated by which almost all Europe. Corsica landed under French rule in 1768, just in time for one to believe that Napoleon was a Frenchman — since it is him we are referring to. His uncommon military genius wasn’t French: if one just reflects about this, it will be obvious that France has demonstrated her total incompetence in that area for at least six hundred and fifty years. His project of fusing Europe into a new Carlovingian Empire wasn’t French either. Before him, the destiny of France had been to fight against empires: since at least the battle of Bouvines, she fought for her survival, for her independence, fatally smothered as she was by the Plantagenet Empire allied with the Holy Roman Empire, and then against the Spanish Empire allied with the Habsburg Empire. Let’s remember that she bears the name of the land of free men, the name of the free — at this is undoubtedly the reason why she is as frequently as unconsciously named the “country of liberty”. The Napoleonic way of governing wasn’t any more French: if he inaugurated in France the ascent to power of a soldier through a coup d’état, his authoritarianism was incomparably more severe than that of our kings of divine right; including Louis XIV who did non subdue his people, but its nobility. The French, in their great collective and political wisdom, only gave him victory for the wars which Europe waged on revolutionary France; they withheld them from him for the wars demanded by his ambition, thus sealing his fate, first in the Spanish sierras, and then in the Russian steppe. He ruled as an autocrat, which not even our kings dared to do. He mistreated his ministers and made corrupt puppets out of the members of the assemblies by buying them with money. He governed conquered Europe through the members of his family whom he named king and queen of Naples, Westphalia, Holland and Spain. He made himself king of Italy. His family came to be called the “tribe”: thanks to him, nepotism became a system of government. He was initiated as a freemason, but refrained from associating his brothers to his dreadful end. There is a lot more to it, but we await the reminder of the original’s translation. This proceeds to discussion ENA and other aspects of Battistelli’s background.